A logo is a perfect way for a company to represent its ideals, beliefs, and aspirations. A logo can even stand for the very product that a company markets. It is critical for a company to protect its rights when it comes to logos and trademarks. Similarity can be very problematic for a company because it can essentially “split up” profits and create confusion among consumers. Similarity can also reduce a company’s brand reputation as it may become a sign of weakness for their loyal customers. These adverse effects can significantly affect a company. For businesses to stop copycats and infringement cases, they should always opt to go for trademarks to protect their assets. These properties are considered intellectual property and should never become profit for anyone except for the owner of those assets. On a lighter note, here are some funny cases about logo infringement and copyright cases and their aftermaths. Apart from the hilarious similarity, China’s Wumart is very similar to one of the world’s largest supermarket chain: Walmart. Wumart primarily sells a variety of goods ranging from low priced branded but high-quality food. Walmart’s approach in products ranges from clothing, games, food, and a lot more. Although Walmart has penetrated Chinese territory for a while, it’s success has been quite slow. Walmart sees Wu Mart as an entirely different entity albeit, the uncanny similarity in names. A lot of Walmart officials agree with Zhang Wenzhong, Wu Mart’s owner. Zhang argues that a lot of people from China don’t know their English name. Foreigners are the most likely to see the comparison because of the manner in writing the names in English. 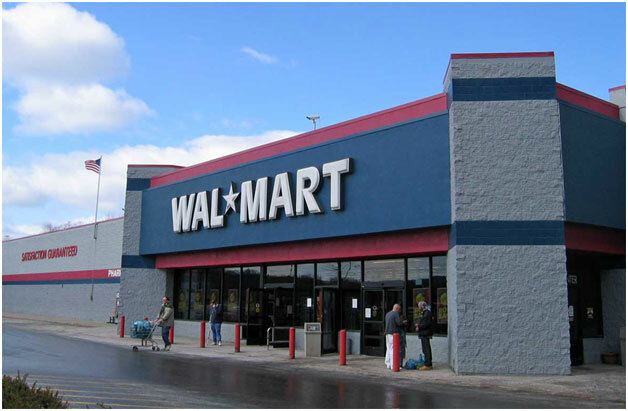 Wumart continues to exist in China and has left Walmart in the dust, regarding overall success. OFC or Obama Fried Chicken was continually enjoying success in China as a restaurant specializing in fried chicken. The company uses former President Obama’s face as a logo with white, blue, and red color schemes. Sound eerily familiar? KFC took notice and immediately threatened legal actions if OFC continued with its blatant copyright infringements. OFC was forced to change their name into UFO, in lieu of KFC possibly going through with legal action. The restaurant still operates and opened three more stores under the new name. However, it still uses the logo similar to that of KFC’s Colonel Sanders. KFC is reportedly in bad tastes with UFO. 7/11 is a giant when it comes to convenience stores. Super-7, however, is a small store that specializes in convenience. Although their names can pass any copyright and infringement lawsuits, their logos tell a different story. 7/11’s logo is an Arabic 7 with the word “eleven” written in the middle of the 7. Super-7’s logo is the same, although instead of “eleven” the word “super” is written instead. This time, size does matter as a lot of people regarded the case as: “The giant who crushed the small guy.” Owners of the Super-7 lost in court, forcing them to hand over to 7/11 all signages, logos, receptacles, advertisements, and any other material which had the copycat Super-7 logo on it. 7/11 went on to destroy all of these materials. Welp. For a company to be well known, it needs to have a good logo. A logo can either make or break the success a business can have. Also, within legal basis that a company has every right to defend any copyright issues that can endanger their profits. Maria Estrada is an artist by heart. She loves seeing and experimenting with designs, from logo design to interior design. Her passion for designs gave her the urge to apply in Print Meister, a fast-growing print advertising company in Australia.